The Wednesday Market returns to the Cornhill Square from the beginning of June with the first market being the 6th of June. The market will run every Wednesday until Christmas with a selection of local food, local artists/makers, vintage and other traders to be invited to sell their wares and there will be a market café and regular entertainments in the square too. 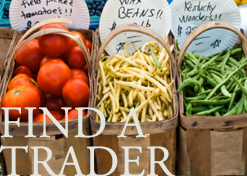 We are looking for all kinds of traders to compliment the local vegetables and foods we have confirmed as we aim to build a diverse and interesting market offer to Stroud’s many locals and visitors. The market this offers all those working in the town centre and visiting the town mid week the opportunity to shop from the lovely Cornhill Square in a relaxed market atmosphere. Why not pop along and get some ingredients for Wednesday’s dinner? Or grab some stuff for a lunchtime picnic? We would love to hear from you with any ideas about what kind of stalls you would like to see at the market. Let us know and we will do our best to find what you are looking for.